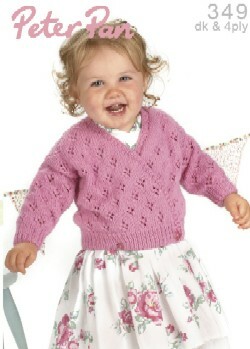 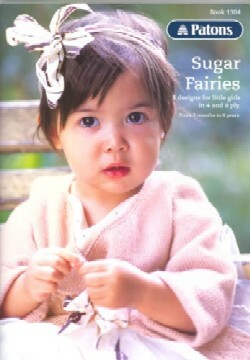 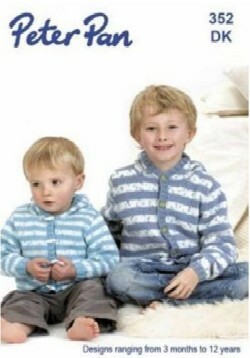 Really lovely selection of childrens patterns, 14 designs for babies & toddlers. 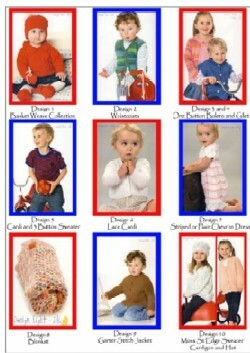 8 designs for little girls in 4 and 8 ply from 3 months to 6 years. 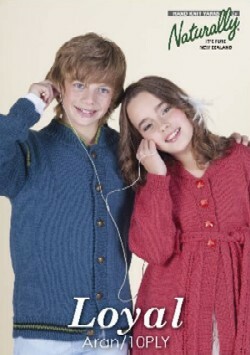 Garments include cardigans, jumpers, bag and hat. 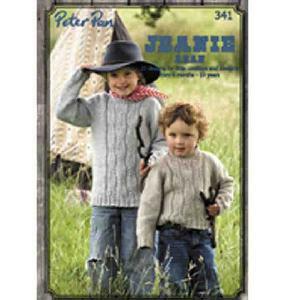 8 hand knit designs for babies and children from birth to 9 years, patterns shown in Peter Pan Sweet Heart DK / 8 ply knitting yarn but suitable for all 8 ply yarns.